CarGurus has 851 nationwide FX35 listings starting at $2,995. Infiniti's FX 35 crossover receives a light styling refresh for the 2006 model year, which includes new designs for the bumper, grille and wheels. Infiniti has also added new standard features, including a rearview monitor, a 300-watt Bose sound system, a power tilt/telescoping steering wheel, leather seating, a ten-way power driver seat with memory and an eight-way power passenger seat. Infiniti's popular crossover houses a 3.5 liter V6, which produces 280 horsepower and 270 pound-feet of torque. The V6 is paired with a five-speed automatic transmission with a manual mode. Fuel economy is estimated at 17/23 mpg. The FX 35 is available with either rear-wheel or all-wheel drive. The AWD system automatically routes power to the wheels with the best traction. The FX is available in one loaded trim level. Other standard features include multi-zone automatic climate control, full power accessories, a six-disc CD changer, 18-inch aluminum wheels, cruise control, keyless entry, and alloy and leather interior trim. All FXs are also equipped with traction control, stability control, HID headlamps, front side airbags, and front and rear head airbags. There are several option packages to choose from, which include items like a navigation system, Infiniti's intelligent key system, a DVD entertainment setup, and radar-based adaptive cruise control. The FX has received considerable acclaim for its car-like agility. Infiniti's crossover SUV continues to be a class leader in both acceleration and handling. The V6 FX will speed from 0-60 mph in just over seven seconds, and the manual mode transmission can minimize downshift delays. The FX's sleek appearance sacrifices rear visibility, rear head room, and ease of access to the rear seats. Drivers have commented that the FX fuel economy could be better, and testers reported mixed driving fuel economy in the mid teens. 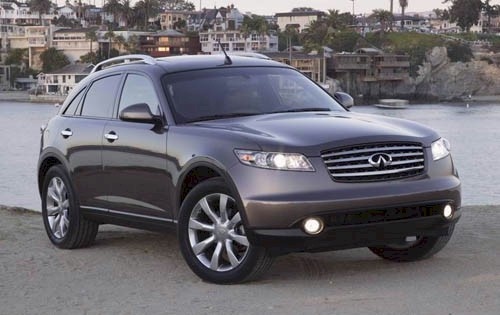 What's your take on the 2006 INFINITI FX35? 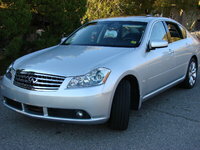 Have you driven a 2006 INFINITI FX35? What can we do to sell my car faster? I need to sell it as soon as possible. 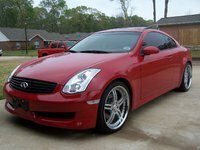 Would it be wise to invest in an 2006 Infiniti fx35 with $188k miles asking $4500? Is A Good Deal To Take An Infiniti FX35 With 59k Miles On It?